For most businesses in 2018, having a social media presence is now an essential element of a marketing strategy. Today’s online audiences are online to be informed, engaged and entertained by their favourite brands whilst ultimately expecting their voice to be heard and their needs listened to and met. It is up to you therefore to utilise this social media phenomenon and start reaping the rewards for your business from having a personable, valuable and engaging social media presence. Whether you are a new business just starting out on social media or have already implemented your social media marketing plan, there is so much value to be gained in seeing examples of what other people and businesses are doing on social media and modelling their best practices. This article showcases three small businesses, that whilst all being in different industries and having different strategies, all display outstanding social media marketing efforts. So without further ado here are my top three small businesses successfully using social media and what you can learn from them. Kim Garst is a social media expert, successfully informing, influencing and engaging her audience through her small business social media firm, Boom Social. Kim is very active amongst several social media platforms and is a perfect example of someone who has developed a powerful social presence through providing excellent customer service, strong branding and regular, engaging, varied and tailored content that businesses and those looking to start on the entrepreneurial path are drawn to. This approach has established Kim as an renowned thought leader, with her impressive influence within the industry testimony to that. Kim’s approach to communicating with her audience is definitely one to admire. She really puts the social in social media and takes the time to respond to every social media interaction on her Facebook and Twitter. Whether it is thanking someone for sharing her article, sharing good advice or sharing the many business and social media tips, quotes and motivational pieces she has, she is always active and always listening to her audience, resulting in a presence that not only demonstrates her successful approach to becoming a well trusted, well informed and personable industry influencer but also by providing real-time, socially connected customer service, she is able to create more trust and credibility with her audience. Another area in which Kim excels is her impressive visual branding, successfully creating a consistent look and feel across her website and all of her social media profiles. Kim makes sure that her advice, quotes, tips and other motivational sayings are delivered on good, high quality branded photos and by combing this approach with another one of her triumphs, that is her impressive use of relevant hashtags on Twitter, such as #socialmedia, #BizTip and #SocialMediaMarketing she is able to ensure that her branded messages target and reach others beyond her immediate circle, making it easy for people searching certain kinds of content to find her. Ultimately it’s no surprise Kim is a social media expert, she demonstrates her expertise, personality and outstanding customer service skills to businesses worldwide by simply sharing engaging resources and advice through her website and social media platforms and ultimately listening to and engaging with her fans. It’s such a simple strategy but is the very foundation of a successful social media presence. Ensure you humanise your brand by being genuine, honest and authentic in order to create truly personal and meaningful connections. Aim to become a thought leader in your industry through actively sharing useful resources and tips with your fans. Maintain a consistent strong branding throughout all of your online presence. Utilise Hashtags to reach new audiences. Dedicate time and resources to listening to and engaging with your fans and make demonstrating your excellent customer service skills a priority. BrewDog is a brewery in Scotland using social media to ‘Push limits and challenge conventions with award winning craft beer’. Along the way they are gaining a reputation for courting controversy but at the same time offering a bold, provocative, irreverent and most of all highly impactful and successful approach to social media marketing. Whilst causing controversy or offence is not for the average content marketer, BrewDog not only gets away with it, but revels in it, due to their complete self-confidence in their philosophy and a no qualms attitude towards telling everyone about it. At the very basic level this shows a great case study of a business with a strong brand ethic, something which should be admired. Having a strong philosophy (that is, their love of beer and challenging the conventional big breweries) instantly makes every post and status update crafted in a purposeful way and directed towards a goal and BrewDog is testament to this end. With cleverly produced and humorous videos, stunts such as driving a tank through the streets of London, projections onto the British House of Parliament and serving beer out of dead animals, they court controversy, divide opinion and importantly attract publicity and attention for themselves whilst perfectly demonstrating with their edgy, out there image that earns them a very targeted and loyal following. In the midst of the controversy, BrewDog however is testament of a brand with an excellent social and collaborate strategy, in that they strive to involve their customers is every aspect of their journey. From asking for suggestions for wording on their new labelling, engaging their audience through regular questions on Facebook and Twitter, right through to their brilliantly successful crowd funding venture, they genuinely show they care about their audience and are interested in involving them in the business and listening to their thought and opinions. Another area in which BrewDog excel is through their ability to successfully capitalise on up-coming events and trends, cleverly ensuring they secure coverage and attention for themselves while continuing to show their personality and appease their loyal following who are expecting these bold, clever and out there antics. Their ‘Hello, my name is Vladimir’, a ‘not for gays’ beer in protest at Vladimir Putin’s anti-gay laws, launched to coincide with the Winter Olympics in Sochi, is a great example of their excellent use of capitalising on a worldwide event. Whilst this controversial approach divides opinion, it ultimately garners them a lot attention which is crucial for small businesses in terms of brand awareness and keeping their brand in front and centre of their target audience’s minds. After all, without this provocative marketing approach BrewDog may not have had such a large impact in a crowded marketplace. Ultimately, BrewDog have remained true to their philosophy, personality and attitude and this has simply been transferred to their marketing efforts. Through varied, regular and interesting blog posts, to clever and humorous videos to boost viral reach, right through to the two founders being active throughout their social media profiles which helps humanise the brand and show personality, it’s hard to find fault with a brand that is confident, consistent and clever in their approach no matter who it might offend. Be provocative, but only where it suits your brand. Make strategic use of relevant national or world trends and events to attract attention and grow your fan base. Be true to your strong brand ethic and recognise the importance of continuing conversation whether or not your brand or your approach is particularly liked. Put your customers at the forefront of your marketing, always listen to, learn from and encourage and engage your audience. Daylesford Farm is an organic farm in Gloucestershire with farmshops and cafes in London. Daylesford Farm is excelling in their social media efforts as they clearly understand the importance of sharing quality content and engaging with their audience and as such have brought the social and collaborative experience to the forefront of their marketing efforts. Where Daylesford Farm truly excels is within their use of content and engagement strategies. Throughout all their social media channels Daylesford Farm place emphasis on providing valuable, targeted and engaging content fine-tuned to appeal to and capture their audience’s interest and attention. Every tweet, retweet, post and status update is shared with a purpose in mind, so whether it’s offering seasonal recipes to try, great tips, facts, competitions, testimonials, articles promoting sustainability in food and farming, humanising the business through showing the faces behind the brand or news and updates relating to their cookery school, farm shop, cafe and other activities, they ensure that each post is purposeful, informative and useful to their audience. In doing so, Daylesford Farm has given their social media followers lots of reasons to engage with and revisit their profiles and this is reflected in the high engagement and sharing levels of their updates.Importantly amongst their efforts they also cross promote each piece of content across their social media platforms and demonstrate well their impressive understanding of the need to tailor the content for each different platform. The result of which means that they attract and form a relevant, captive audience that regularly comes to their social media platforms to interact and be informed and entertained. Daylesford Farm have also cleverly integrated social media into almost every aspect of their website. From the often overlooked but crucial clear placement of social media icons across all pages of their website, to utilising social media widgets on their website and the online shop where social media icons are clearly displayed for you to share the product, it is clear that Daylesford Farm is projecting themselves as a social brand. The key benefit here is that in doing so they have created this very social experience for the visitor, making it easy to connect socially and for the most part, you don’t have to leave the website to do so, which encourages viewers to stay on the website for longer, allowing Daylesford Farm to effectively increase their fan/follower base from their website. Ultimately Daylesford farm clearly understand and demonstrate well how to get the best out of each social media platform. They tailor content well, provide excellent customer service and importantly provide varied, consistent and engaging content that regularly keeps their audience coming back for more. Ensure every post you create is designed with a purpose and your target audience in mind. Whether it’s to inform, entertain, educate or engage, make everything that goes into your post (tone, pictures, links etc.) work towards and compliment your overall purpose for the post. Make sure that on your website you provide the visitor with lots of opportunities to connect with you socially. You can do this by clearly displaying your social media icons on your website pages and utilising any website social widgets that can enhance your marketing efforts. Provide fans with reasons to keep returning to your social media profiles by offering valuable content, competitions, industry insights, informative resources and anything else your target audience will find interesting. 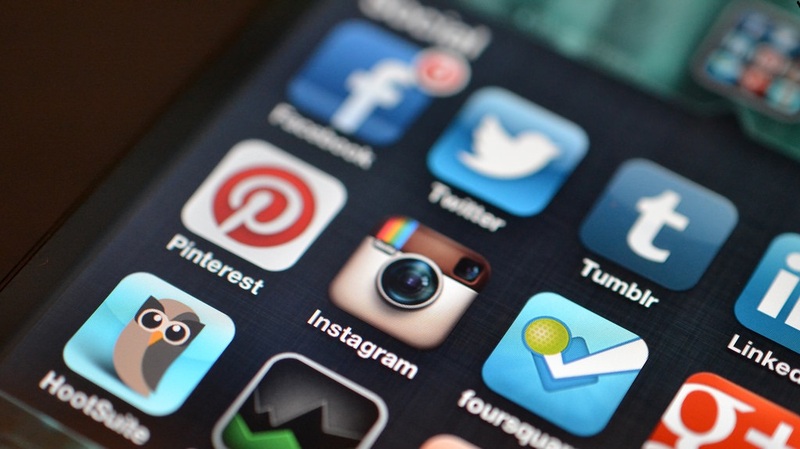 Differentiate and tailor your social media strategy to match the platform you are using. What are your thoughts? Who are your favourite brands successfully using social media? ← Confessions of an Entrepreneur: The Things They Don’t Tell You About Owning a Small Business!